We’ve all felt it, that after lunch crash. Or maybe it happens at 8:30 am after you drop the kids of at school. If caffeine isn’t helping, or you want to try more natural practices, your local doctors at Albemarle Square Family Health have a few tips that may help you wake up throughout your day. You can pick your favorite, try a few or do them all! You don’t have to do an hour long CrossFit WOD, unless you really want to that is, but getting up from your desk, the couch or your car can help get your blood pumping and help kickstart your day at any time. You can go for a run, lift weights, do a quick circuit at lunch, the possibilities are endless. Even a quick ten minute walk has shown to increase energy and help get you through the day. Press play and crank up the volume. Music has been proven to help with concentration, set scenes and even help with motivation. Put on some lively tunes and you’ll be energized throughout your routine. Music can also affect your mood as well. Listen to happy, fast paced and energetic music and you’ll be up moving and grooving in no time. Do it for long enough and you may even get a workout out of it. Eight hours isn’t for everyone. For some it may be more or even possibly less. But no matter the number, the right amount of sleep is integral not just in being energetic but for your overall health and wellness. If your alarm clock snaps you out of a deep sleep, then you aren’t getting the right amount. If you find that you aren’t getting enough sleep at night, a 10 – 30 minute nap during the day can help you catch up on some well needed rest and even help you feel more awake and ready for the rest of the day. If problems persist it may be time to contact your local doctors for a health screen or check-up . Studies have proven that by simply acting a certain way, you can trick your mind into actually believing that specific mentality. For instance, if you’re feeling sluggish and would like to be more energetic, just act more lively and eventually your disposition will change, causing you to actually become the bouncy, bubbly person you wanted to be. Talking to close friends and family may also help you shed the afternoon drearies and get you over that midday hump. Have a giant list of chores to finish or thousands of errands to run? Focus on one and only one, making sure you finish whatever it is you’re working on. The sense of accomplishment will help you feel better and increase your mood. This will change your outlook on the other chores/tasks and help motivate you to complete the other ones. Even if that is mowing the lawn or cleaning out a cluttered closet. Snacking while feeling unmotivated is incredibly enticing, but food won’t help make you feel more energetic. In fact, it may even make you feel more lethargic. It’s ok to snack, but do too much of it and it could stop any motivation you had for the day. Instead, try doing one of the above activities and then work a snack in between tasks. Not only will you get stuff done, but you’ll get a reward after you’ve completed a chore or erand. 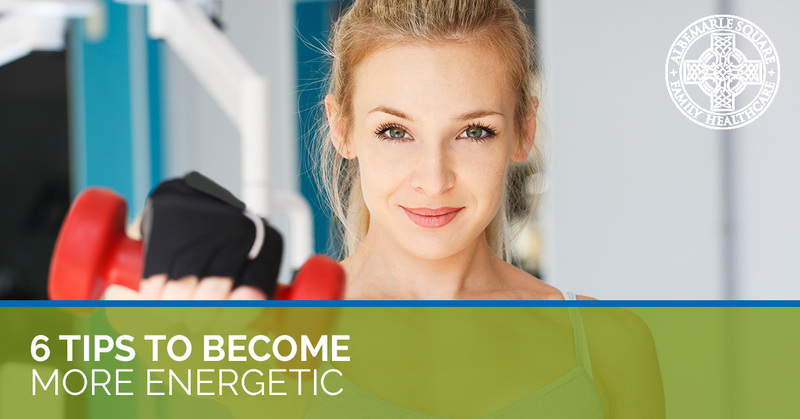 If you feel these and other means don’t help you become energetic, you can always talk to your local doctor at Albemarle Square Family Health in Charlottesville. We’re always here to answer any questions you may have, be it about our pediatrics or mental health. Contact us today and set up an appointment or get to know us and our wonderful staff of doctors and nurses.